If you've been following me for a while, you know I usually post on Sundays. However I lost all blog post pictures for the week yesterday. How? I don’t really know, I was just looking through the pictures getting ready to edit them and I clicked on something and just like that they were all gone. After crying myself to sleep (smh now) and ranting later, I decided there was nothing I could do so I've kind of let it go. Thank God for my brother, he did not mind retaking all the outfit photos for me. So I took all my blog posts pictures before heading out to work. 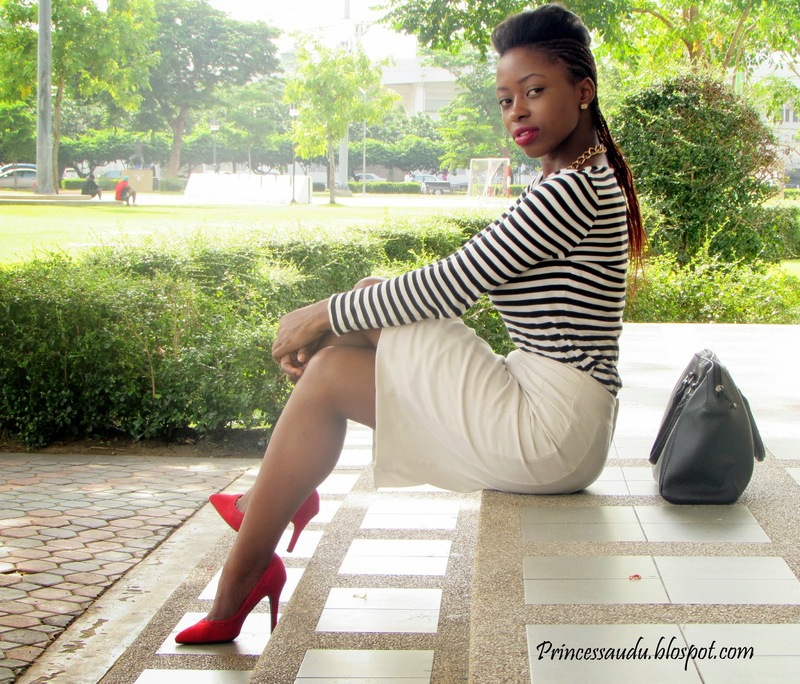 Now on to today's outfit post. 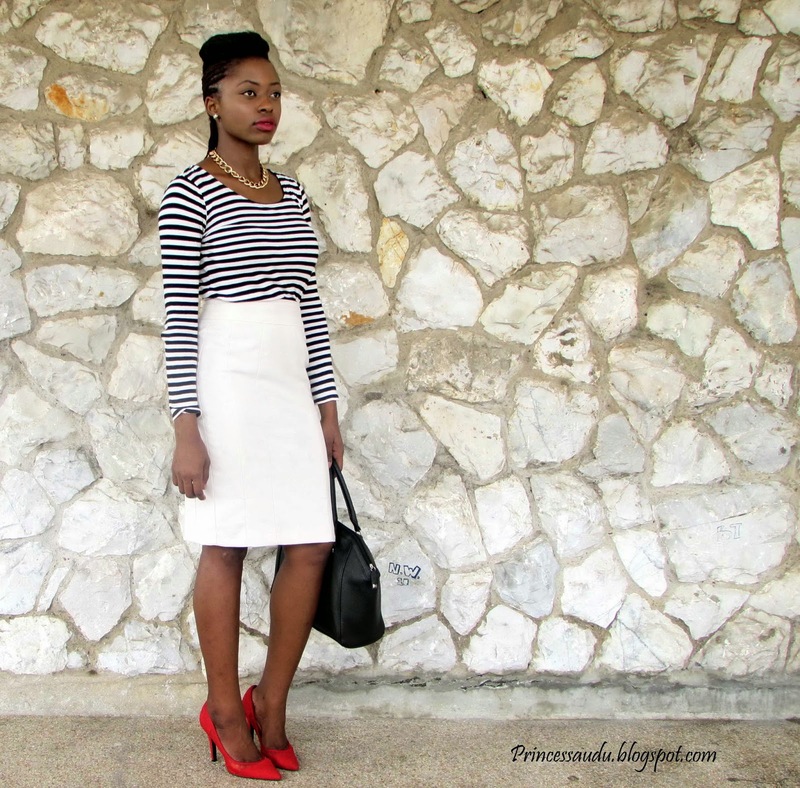 I bought this skirt last month and this is now the third time I am featuring it on the blog and this won’t be the last time. 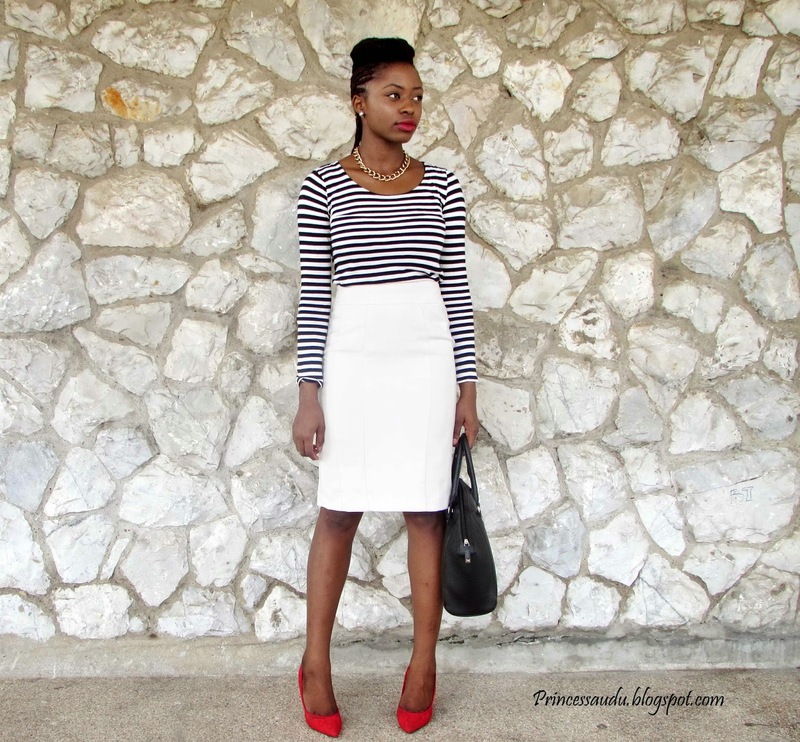 I styled it HERE and HERE, today I just paired it with a basic stripe top and red shoes for a pop of colour. I could not decide whether to go with or without a belt for this outfit, what do you guys think? You look gorg! I love the last pix. I think it looks good with the belt. Me super encanta este look, es trendy, sofisticado y muy chic, perfecta. Both look great bt if I were to choose I would go with the belt. Looking great hun. wowww love this look!! the print and colours are perfect!! you look amazing dear!!! I agree that both are great but I too would have to go with the belt. I love it with and without the belt! Also I'm glad you decided to retake the photos because this outfit is beautiful! 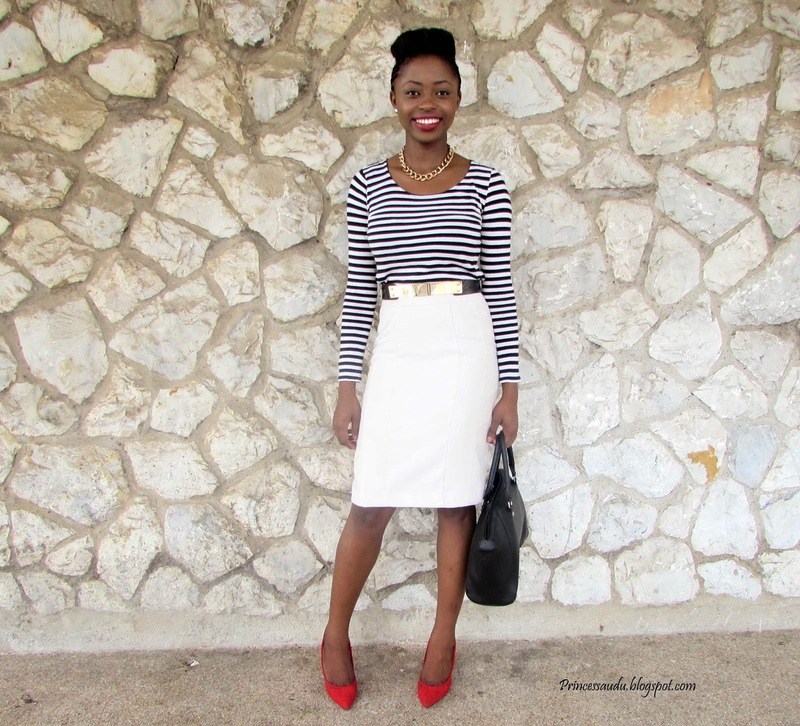 The skirt is a perfect versatile piece. Its unfortunate that you lost your pictures, I hate it when that happens. I nominated you for the wonderful readership award. Cool outfit!! Love it!! And with the belt looks perfect! Love this look! With the belt! Love the last pose it is such a fun and powerful pose! Aww so sorry you lost all your photos! But at least your retakes look AMAZING! Love this look! I LOVE this look. Very beautiful!! 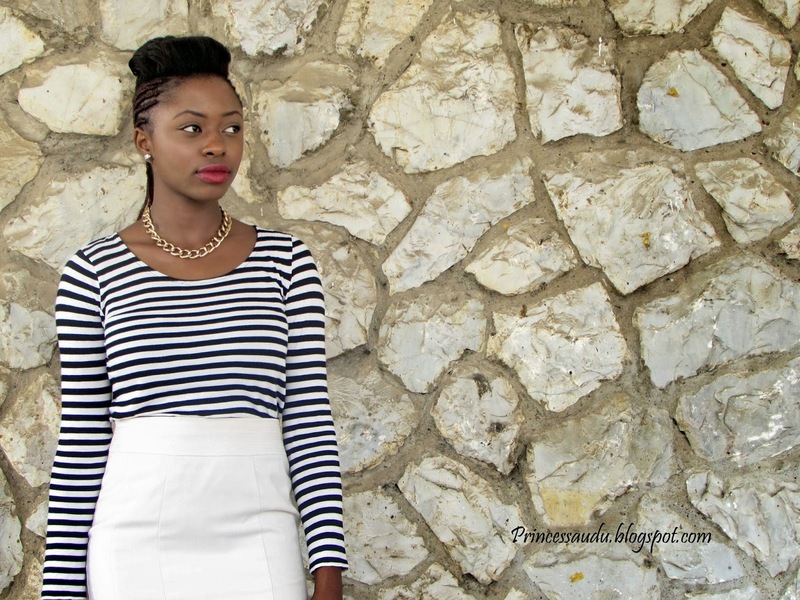 You look gorgeous with this white skirt and stripes top. We like very much your outfit and definetely we prefer it with belt!!! great shoes, i love this outfit! Beautiful! 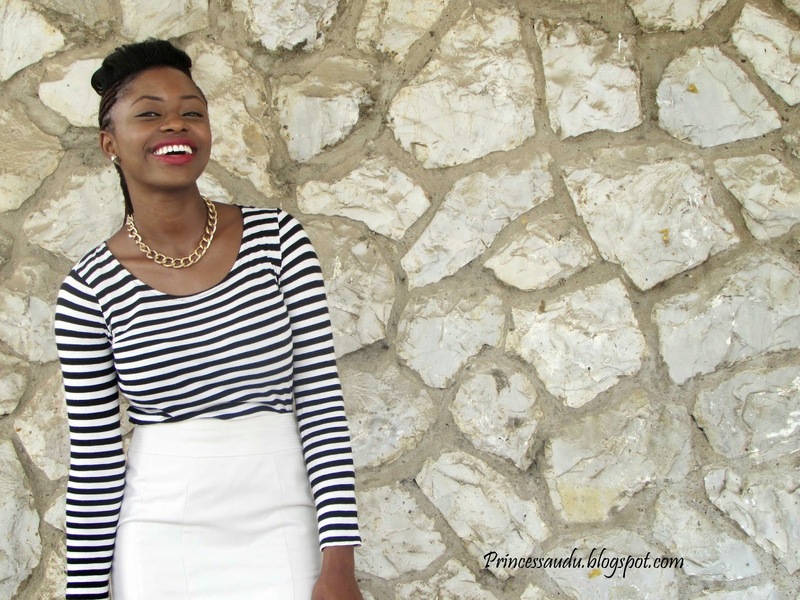 Love the basic color combo and stripes! I love this look on you, you definitely epitomise elegance and chic. Love it! That is awful that you lost the pictures! I love how classy and chic this outfit is. It could use a belt but I also like it without the belt. STUNNING! Red white and black is so classic, and chic! 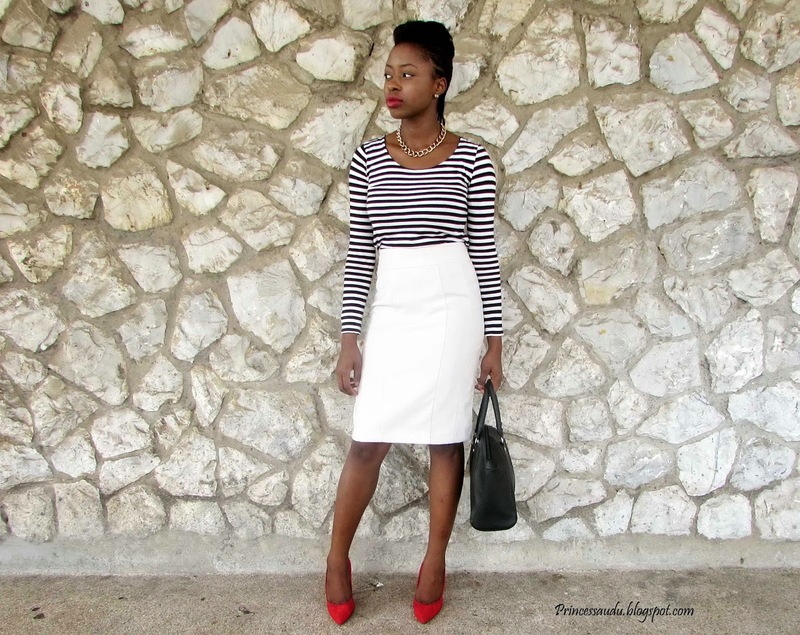 You look great with the white skirt and red heels so much! So sorry about re-taking the photos but umm you look beautiful! What a nice brother!